Art sells homes – it’s a fact! Dressing empty spaces as a marketing strategy to sell is by no means a recent phenomenon but in the last couple of years, especially in London the use of art to create an image and secure a house sale has skyrocketed. 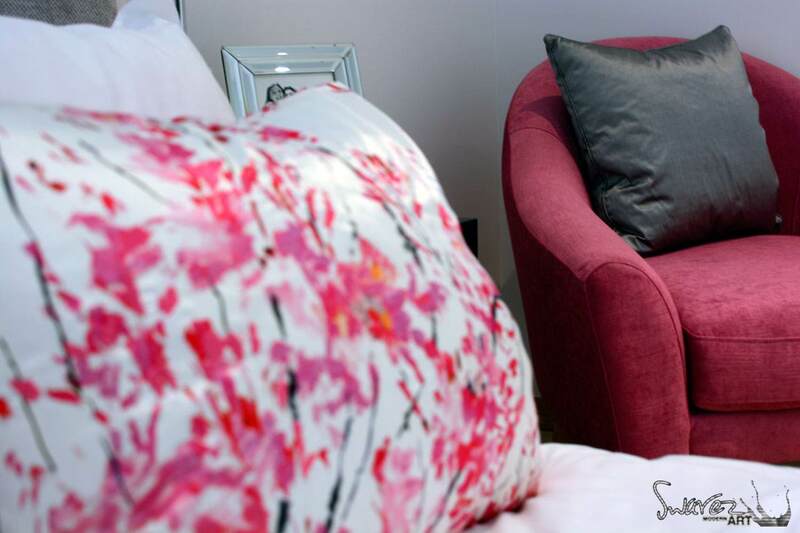 Dressing a house creates a look that adds a feel of luxury. It also reflects the price of the property. For a small investment you can save potential buyers having to rely on their own imagination by showing them the potential of the property and presenting it as an already beautiful space. Who is your ideal buyer and what do they need to see to imagine themselves living in the property. 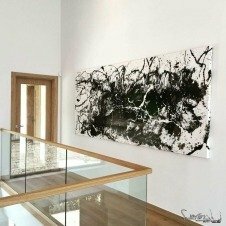 Renting paintings from artists provides developers with the look and feel they want to sell the property and provides gallery space and income for the artist. When a high net worth client chooses to view a property it is part of a wider lifestyle choice. The interior of the property should be in keeping with the lifestyle and reflect the trends that only the super rich can afford. Developers and agents not only rent art for the walls but also furniture, glassworks and sculptures. 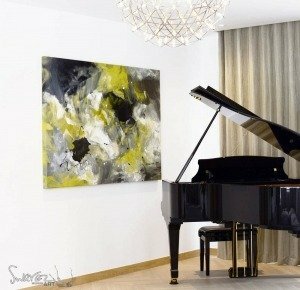 Even grand pianos are used so that when the client views the house they can picture themselves there with ease. Art is now an integral part of the design process because high end developers know their clients. The very rich do not have the time to spend styling yet another home and this is especially true of overseas clients buying houses in areas of London like Belgravia, where property developers have become accidental art curators. There is an increasing demand for turnkey packages. Very often properties at the very top end of the market are sold to overseas investors “lock, stock and barrel” with fixtures and fittings including art and furniture. Getting the look right, at the start, means developers are making handsome profits for themselves and the artists, whose work is hanging on the walls. Developers and buyers may be biding their time until current political uncertainties are resolved. Many are holding onto their cash until the financial ramifications of Brexit are absolute. However after that, cash and investments will begin to flow again and wherever you are inside or outside of the European Union, we will still be doing business with overseas clients. Houses will always need to be built and developers will always need buyers. Making investment opportunities as attractive as possible is an old as marketing itself. I have a successful history of working with high net worth clients; producing commissioned works of art that reflect their tastes and lifestyle. If you would like to create a look that can attract and sell to your ideal client get in touch to find out more.